Thank you and we will wait for your response to assist you further. Not only on the notification email, i also wanted it to show on the web form. I want it to display like this sample Friday, November 1, 2013 (Day, Month/Date/Year). Where are you referring to then if not only in the Email Notification? Did you mean on the Form itself as well for the field to be filled in like that? Or? 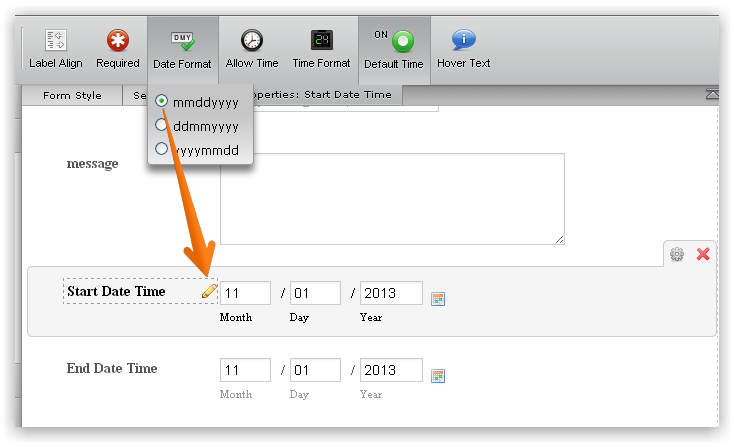 As far as I know, Unfortunately our DateTime Field does not currently Support this DateTime Format. So if you would like then I would be more then happy to submit this on your behalf to our Development Team as a feature request for consideration.